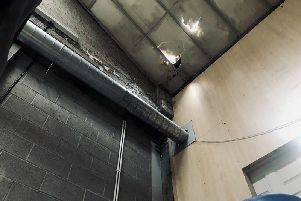 Strabane Developments Limited, Leckpatrick Road, Artigarvan, Strabane, pleaded guilty and was fined £2,000 plus offender levy of £15 at Strabane Magistrates’ Court on Friday. On 25 February 2016 a Water Quality Inspector (WQI), acting on behalf of the Northern Ireland Environment Agency (NIEA) visited a housing development site at Glen Road, Strabane and observed that the discharge from the site appeared to have a high level of suspended solids. A sample taken at the time of the incident confirmed that the discharge contained poisonous, noxious or polluting matter which was potentially harmful to fish life in the receiving waterway. The analysis of the sample confirmed that the discharge of suspended solids was greater than 87 times the consented limit. High concentrations of suspended solids in a waterway can have an abrasive effect upon the gills of fish, making them susceptible to infection, and can interfere with their respiration. In addition, suspended solids can settle out in the waterway and interfere with feeding and breeding habitats.